Those that have had direct dealings with procurement managers may have occasionally perceived a certain lack of customer focus from time to time. 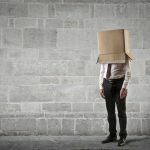 Maybe a myopia on cost, plenty of supplier suspicions, a few risk hang ups and high delivery expectations – just not so much mention of the customer perhaps. Segmenting customer behaviour is also useful in aligning different supply chains run by the organisation, to better meet the needs of those specific customer segments – rather than running a single supply chain to serve all consumers for a firm’s product… as most companies do. Moreover, the supplying company’s behaviour can also fit into the 16 segments. 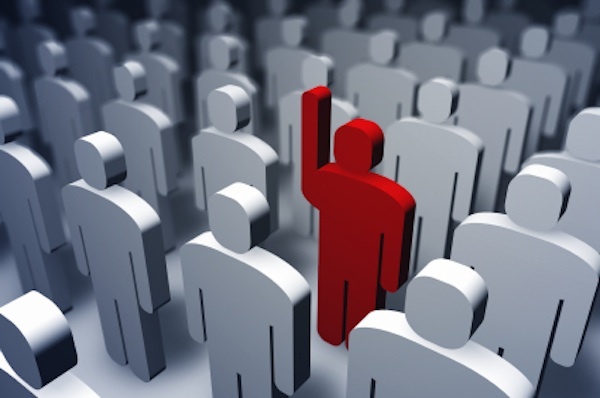 Recognising this allows the supplier to map their typical behaviour against their customers. Aligning their supply chain in this way will best serve the customer – and, ultimately, the firm therefore. However, typically, Gattorna notices, these behaviours rarely align at the outset – and work is needed. That is each supply chain should be run by a “customer manager” leading a non-functional cluster of people within the team, geared entirely to meet the needs of only that market segment. This is also not typical. Ordinarily firms are organised as an hierarchy. Functional departments siloed into professional roles, which any supply has to traverse in order to meet the needs of the customer. Supply chains transcend the firm. They run through firms, often many firms. 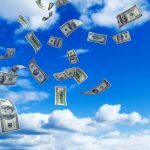 From conception to consumption it is not rare to find tens of companies strung along a value chain each adding some value to serve a customer segment – forming one long supply chain. Supply chains compete with each other … weak suppliers are ‘fired’ from your supply chain and find other supply chains to join, and then often compete with your supply chain – the one they were dismissed from. That each step in the supply chain must generate some ‘value’ for their total supply chain, and that supply chains transcend the firm and its sole USPs, even its core business. Gattorna’s work is gaining no little traction. Not least at the global fashion chain ZARA, who have adopted his approach wholesale, as part of reducing the supply chain time for fashion from three seasons down to a legendary three weeks. Maybe, just maybe, these procurement folks are on to something? Maybe you can add competitive advantage from the supply side? Maybe segmenting supply chain by customer behaviour can work spectacularly well compared to traditional siloed functional management approaches? Moreover, by working together, buyers & sellers could both be more effective by concentrating on their common enemy – and not on an adversarial relationship. The common enemy is the enemy of ‘waste’ in the process; which still exists in large scale. Buyers and seller working together against this common enemy of waste could still achieve much greater efficiency together. Just imagine what could happen in your organisation if Procurement and Marketing truly worked together? In future, it is entirely possible there will be ONLY two departments in any significant company – the MARKETING team [of course] and the SUPPLY CHAIN department [of course]. It would include everything from conception & research, including design & development, through to research & testing, business cases & pricing and all promotional planning. But Marketing would not manage engineering or operations, sourcing & supply chain, stock & logistics, factory management or production – all the domain of…. Everyone else in the organisation would be a support service. Maybe in one large pot of shared services such as Finance, IT, property, HR, Legal and the like. Even sales could be a shared service. Operations, engineering or manufacturing would in fact just be part of the MAKE or BUY analysis by the supply chain team. In this way, the organisation runs horizontally through the firm. Not vertically and smoke-stacked into purist, functional ivory towers. 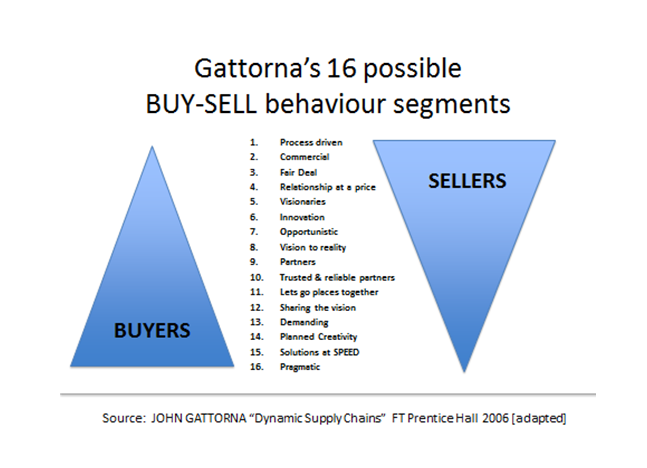 This allows, argues Gattorna, everyone in the firm to align to the customer – and particularly the specific segments they offer through their behaviour. Each market segment would have its own cross-functional team, led by a Marketing Segment Manager and pulled together from the disciplines in the business, entirely focused on just their segment – whether it be the cheapest, most expensive, blue-ist , most-blinged up or least serviced of the product options made. The best people would be selected for each team based on their attributes, and how they match the segment’s primary needs – just like picking a football team to play specific opposition on a muddy pitch in July. The supply side team, within the group, would be responsible for forging the supply chain supporting the firm to align similarly … so each supplier also faces the customer segment and its services. Gattorna and his team have already implemented this in some places. And very successfully too. In fact they were instrumental in driving down the lead time in the fashion industry from three seasons to about three weeks as previously mentioned for Zara. For the rest of us, it’s twenty or thirty years away maybe? Or less?